Raffael Sanzio was born in the year 1483 April 6 at a town known as Urbino. The very concept that defined him is that his interest in painting began at a very early age since his father was also a painter. During the period that he lived with his father, he was able to learn some of the vital styles in painting. He never struggled in life since his family had a wealthy background hence such acted as a proper platform for him to succeed. His works had some of the admiration due to the clarity, ease and the mode of composition in the proper achievement of Neoplatonic ideal. He was truly a master of that particular period. He died prematurely at 37 years though at that age he had made an impact, and most of his works remain stored and displayed in the Vatican. His life span can be categorized into three phases: early years in Umbria, four years absorbing the different artistic techniques in Florence, then his last twelve years in Rome working for two Popes. Raphael received various recognitions and the Vatican called him to have some more work done for them. The most notable pieces of work that he accomplished outside the Vatican premise were the series of ten cartoons. Those works indeed portrayed the way in which Raphael had changed in the methods of doing work. He had big workshops that were recognized as the largest ever owned by a master such experience came from his childhood experience with his father’s studio. Some of the techniques that Raphael was accredited on using and well conversant with was on the use of metal point technique. This type of procedure did involve the use of sharp point ends of silver to have the sketches down (Palou 127). Through various drawings that he has done, he can be considered to be a unique artist. As an example to show the unique style that Raphael has, we can check at one of his work that is the School of Athens the beauty of the artistic work that he had deeply reflected the deep aspirations that he had engraved in his character. That pointing in its essence holds a descriptive side and more so the artist himself was concentrated in identifying that with the people. He was a Renaissance painter that had ideal thoughts and as such portrayed them to his works. He was able to achieve this by making sure that he was able to unify the movements of his figures and to connect the spaces that he had created into one integrated artistic work. The method in which Raphael was able to arrange the images is not unique, but he had a way in which he was able to connect the various objects in one particular model. His images seemed to be moving at times with dignity, and as such he made the process to look simple and yet unique. As mentioned earlier, most of his motivation came from his master, Perugino and most of the space and artistic movements that he created can be attributed to his master (Guercio). When he moved to Florence, he became influenced by the various artists that had been practicing painting for some years. He adopted some of the styles such as connoisseurs and with such ingenuity made Leonard da Vince use his work. In his later years, he settled, working in Rome and by that time the use of oil technique was promising due to the various connections that he had gained working in Florence showed the never ending interest that he had. 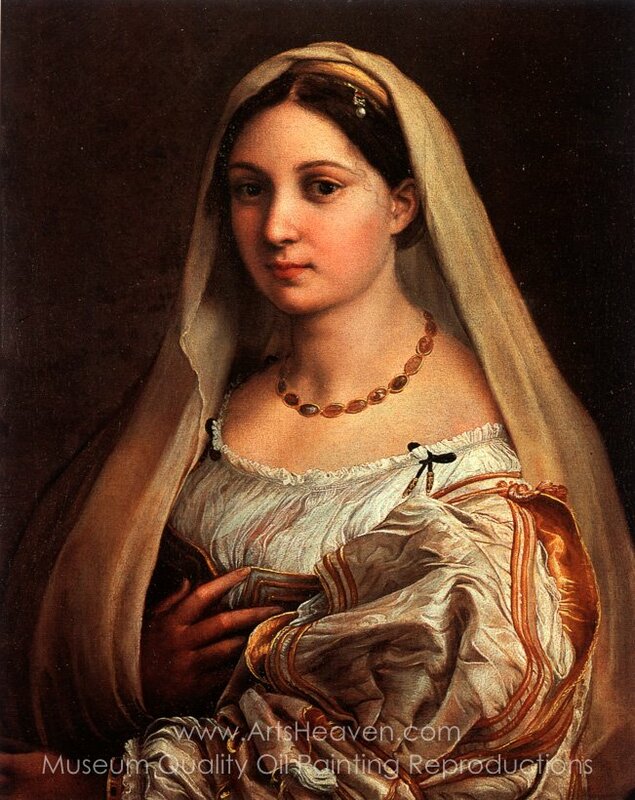 Raphael used some unique medium to connect with his viewers and hence he had to use the oil medium, and hence it explains the greater depth of shadow that was always evident on her face. Raphael was seen as a man that had a passion in whatever he did through such love thought at some point in his career he was criticized in the ways that he achieved. However, despite such challenges Raphael positively was able to inspire the community around him since through the workshops that he built he was able to employ assistants (Reiss, 262). He had the workshop developed since in such a manner he would be able to make sure that the talents of the young individuals never go to waste. The ways in which I portrayed the artist did not change. One factor that I was sure with was that he had various ways of expressing himself. More so, being quite aware that he was wealthy and multi-talented made me through the course of the reading see more to his story that what has been narrated. Some of the milestones completed by the artist can be seen to be of importance, and various people have been able to confirm such a prospect. Through his consistency, he was able to prove that indeed his unique methods could only be attributed to the various methods that he had of expressing himself.